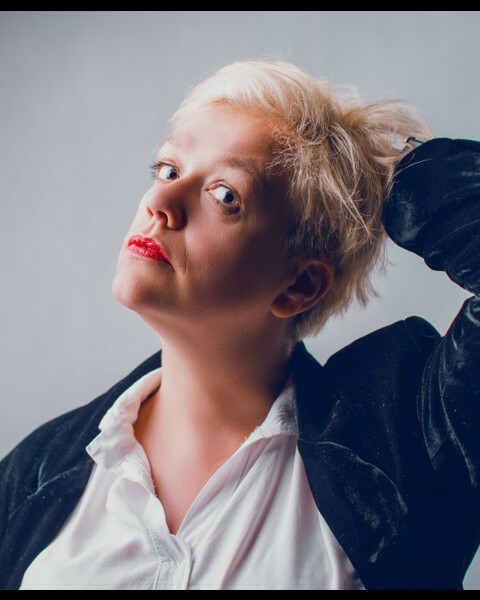 Kasia is an actress and teacher and performs with numerous improv groups, such as the popular “wymyWammy” (Bydgoszcz), the duo group “Two Sisters”, the Lodz based theatre group “Impro Atak” as well as the European improv project „Ohana”. Chmara is an artistic coordinator of Improdrom- international Improv Festivalin Bydgoszcz, Poland, she gained experience in the field of organisation, production and public relation. She regularly leads theatre and improvisation workshops in Bydgoszcz and throughout Poland. She also provides workshops in many european countries like Strassburg, Tallinn, Dublin, or even Bangalore- India. She is only one polish improviser who take a part in European Improvproject organized by Die Gorillas Theatre, “Our Lives”. Currently she is doing her PhD in Creating Character on script play through improvisation techniques in National Film and Theatre School in Łódź- Poland, and also teach theatre improvisation in acting departament. Kasia has been conducting theater workshops since 1998. She is improvising over 9 years. Take one of her workshops: Give me a Voice, and Sing a Song – Misson Possible.